Last month, we celebrated our 80th birthday. On December 26, 1938, a modest roadside dance hall became Johnny Seesaw’s. Opening in the dead of winter was no fluke. In 1936, Ralph Hutchinson and the Works Progress Administration had cut the “Bromley Run” on the side of the mountain behind the property. 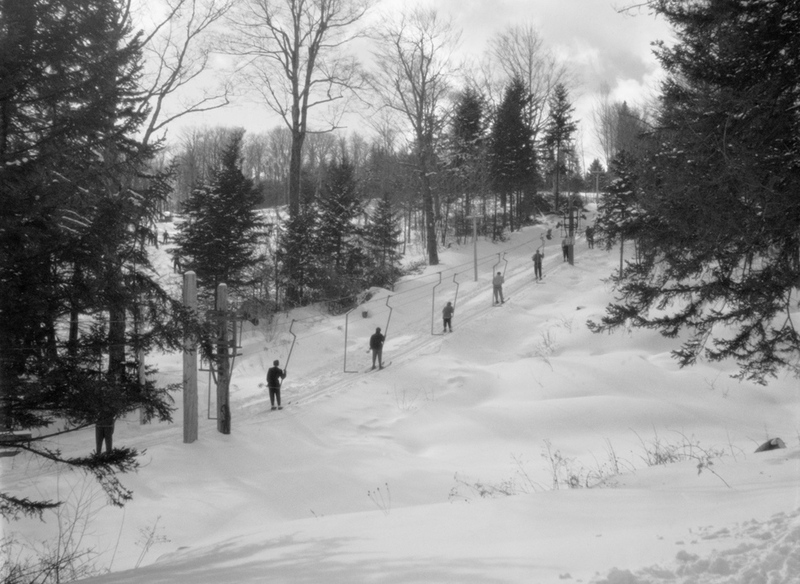 Fred Pabst, Jr. officially opened it as a ski destination, and a year or so later the ski boom came quickly to little Peru, Vermont. By the next year, the state-of-the-art lifts that Pabst had installed were attracting ski lovers from across the eastern United States. 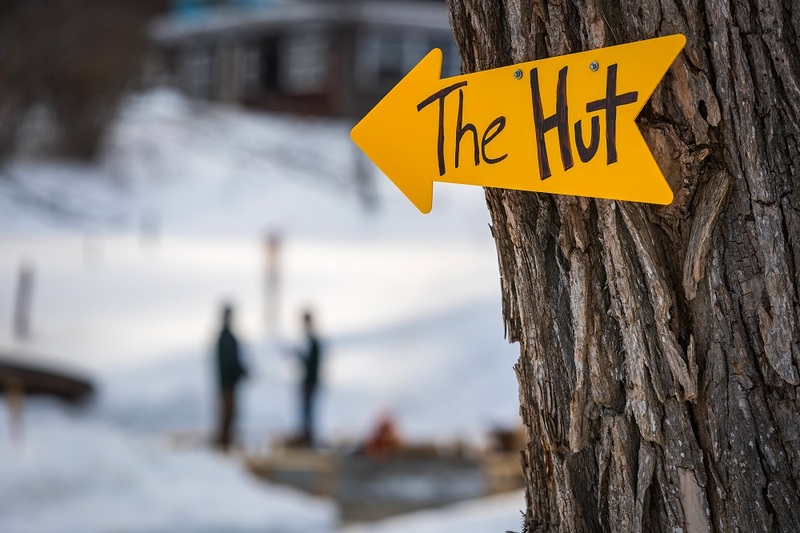 Johnny Seesaw’s and its owners, the Parrish and deSchweinitz families, benefited from the influx of visitors and so the lodge became the destination for after-ski drinks and a place to rest your head before the next day on the slopes. 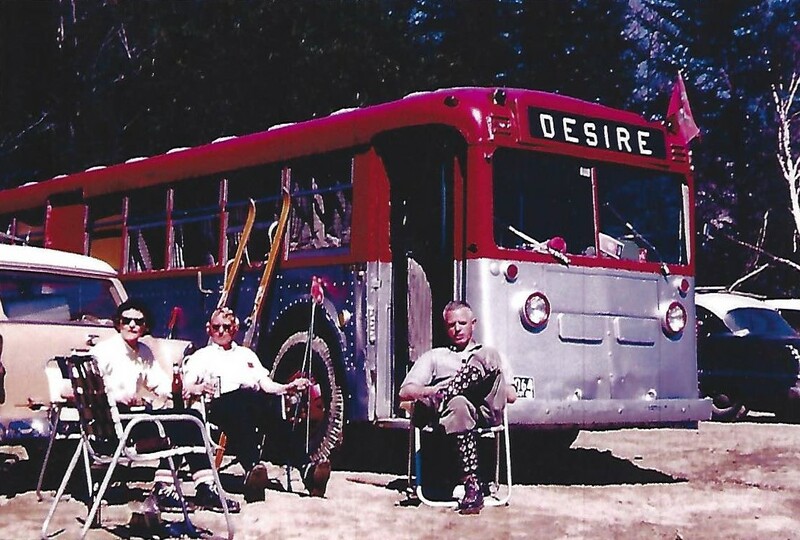 Four ski lovers, Charles “Minnie” Dole, Alex Bright, Roger Langley, and Bob Livermore, gathered at Seesaw’s one evening in those early years to share a pint (or two, or three…). 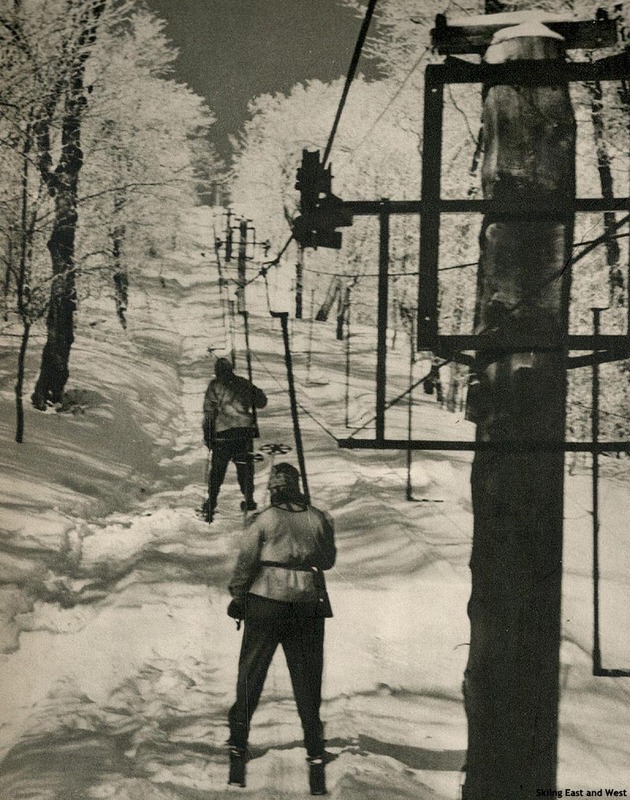 At the time, Dole and Langley were instrumental in developing the National Ski Association. The organization focused on implementing a standard of safety techniques for ski patrol and rescue at mountains across the country and the two men were outsized names in the ski industry. As they were enjoying drinks, the conversation turned to the war in Europe and the effectiveness of the Finnish ski troops in holding off the much larger forces of the Russian invaders. It was the advanced mountaineering expertise of the troops that had allowed them to prevail. 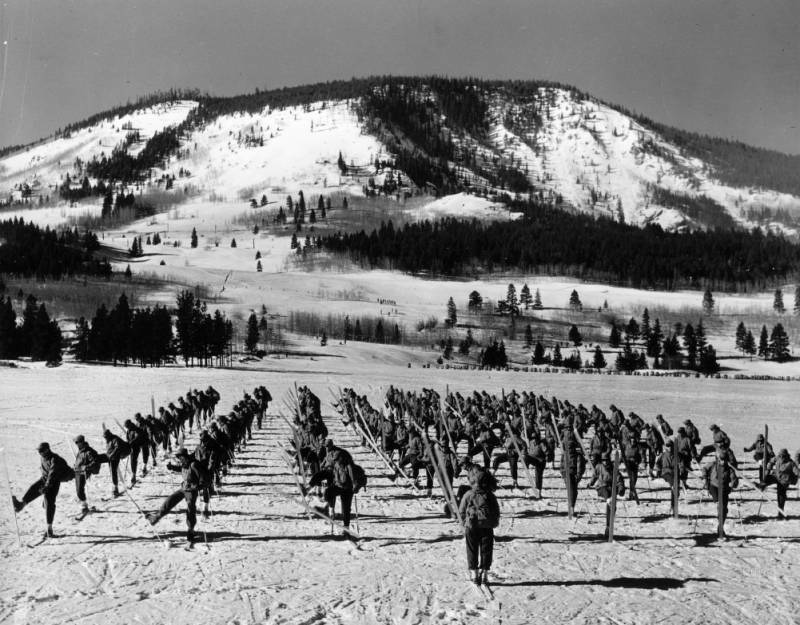 At that moment, the idea of replicating a similar program in America was born–training ski troops specifically for winter combat in alpine conditions. At the encouragement of his mates, Dole met with United States Army Chief of Staff George Marshall to discuss creating an American answer to the German and Italian ski troops. Marshall decidedly appointed Dole with overseeing the formation of the group as part of the U.S. Army. With the official go-ahead, it seemed to the founders an easier task to train skiers to fight than fighters to ski, thus beginning a campaign to recruit men from ski towns across America to prove their mettle. 8,000 experienced skiers were gathered from all over the United States as part of the first training group under Dole’s mentoring at Camp Hale in Colorado. Among them were 260 men from Vermont, including two brothers, avid skiers from a big Austrian family who had enlisted in order to earn their American citizenship. Their last name–von Trapp. After the division’s instruction in mountain and winter warfare, mountaineering, skiing, and rock climbing, the group was deployed to Italy over the course of December 1944 and January 1945. At that point, they were renamed the 10th Mountain Division. The 10th saw 114 days of combat in World War II. All while hiking up and skiing down mountains with their ski equipment, weapons, and each with a 100lb pack crossing the roughest terrain, not manageable by ordinary infantry. The division is still active today and has been deployed to Iraq, Afghanistan, and Eastern Europe. 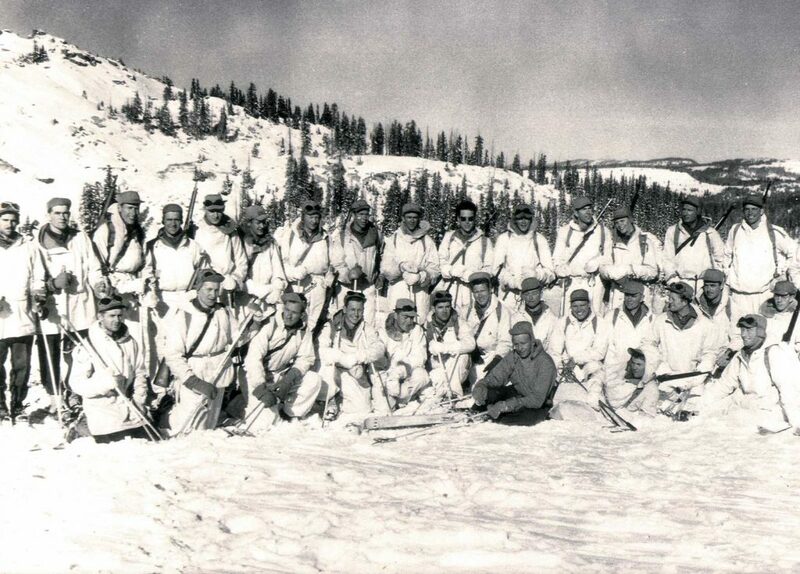 The lives of the men in the 10th Mountain Division and the action they saw are storied in the skiing community and, much like them, the camaraderie of Seesaw’s lives on. 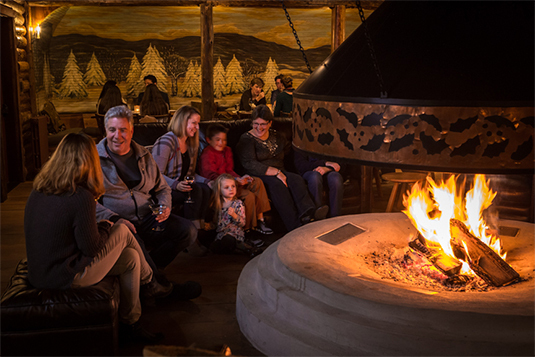 Now in the 21st century, the ski lifts run a little faster, but at Seesaw’s the fireplace keeps us just as warm, the drinks are just as tasty, and great ideas are still born around the tables. 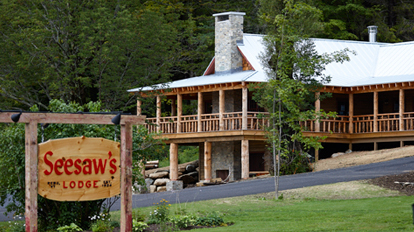 And to close the loop on history, the von Trapp’s made their own history in Stowe, Vermont and among other businesses, started von Trapp Brewery – which will be featured at a tasting at Johnny Seesaw’s on January 26th, 2019. Come join!! !